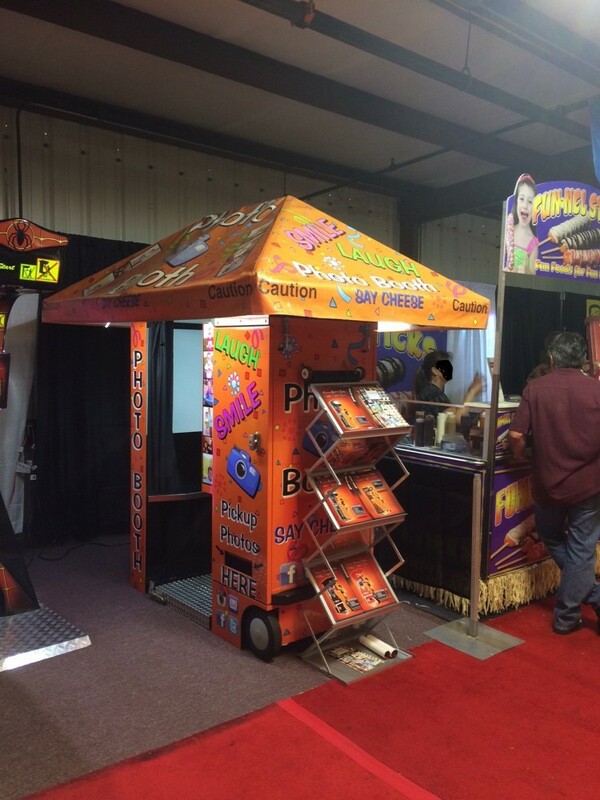 Weatherproof Outdoor/indoor Photo Booth It's big and showy, with its eye-catching color scheme and meant for outdoor locations like Carnival Amusements,Theme parks, Water Parks, Family Entertainment Centers, Mini Golf and All Recreational Areas. It features water-resistant credit card swipes, water-resistant bill acceptors, a water deflective roof with led lights and other water-resistant measures that insure the safety of outdoor use. Booth slides in half for easy transport and mobility,one person operation! Great $ Revenue Generator at Carnivals, $5 per photo x 1000 photos per roll =$ 5000 Kids and adults love em! Simple Touchscreen Navigation, Ability to Send Emails and Capture Email Addresses, Record and Send Photo Clips via Email, Facebook or Twitter!Please contact for more info: Price,specs,models available.